If you are visiting Athens, you are just minutes away from the beautiful Athenian coastline. This is a hot spot for Greeks during the summer months, as it is the perfect place to relax and enjoy the sea and a coffee, cocktail or even a meal. 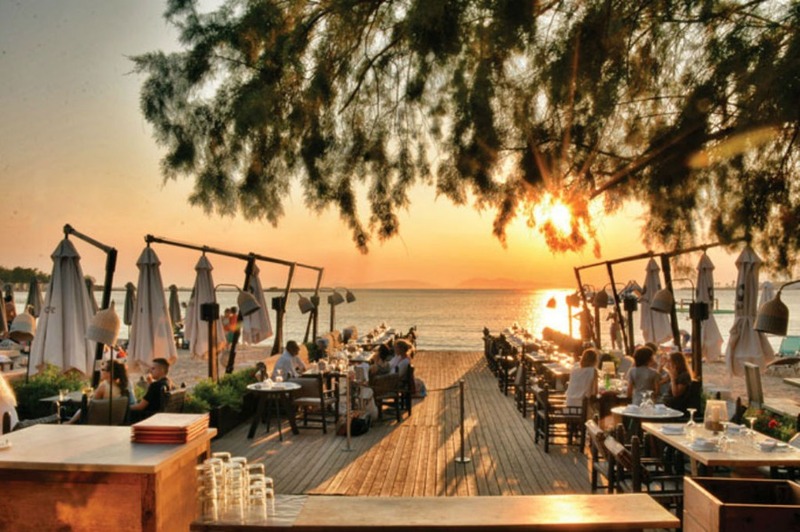 Here are some of the top picks for beachside bars close to Athens that you don’t want to miss! Nālu is a popular destination to watch a romantic sunset and have a cocktail while sitting with your feet in the sand. Why not add it to your Athens itinerary? A favorite place to chill and relax after a hot summer day in Athens — at this bar you will find comfortable bean-bag-styled couches and chairs on the beach, just feet away from the sea. When you are looking for a truly unique experience in Athens, this is the place to check out. Set up like an island retreat, you can either enjoy the sea views from the dining area where you can enjoy a delicious meal, or relax on cushions in the grassy area surrounded by palm trees while enjoying a drink with your friends. Another true ‘island experience’ awaits you at this beachside bar which is surrounded by palm trees and huts that are made of straw and wood. This is a great place to relax in a lounge chair and take in the sun during the day and maybe even stay for dancing with well-know DJs, at night. This is another bar one must experience while in Athens. You can relax in hammocks, take a swim, have a coffee or cocktail and enjoy the view. As there is almost always seating available, this is a great place to visit when the crowds pick up at the beach.